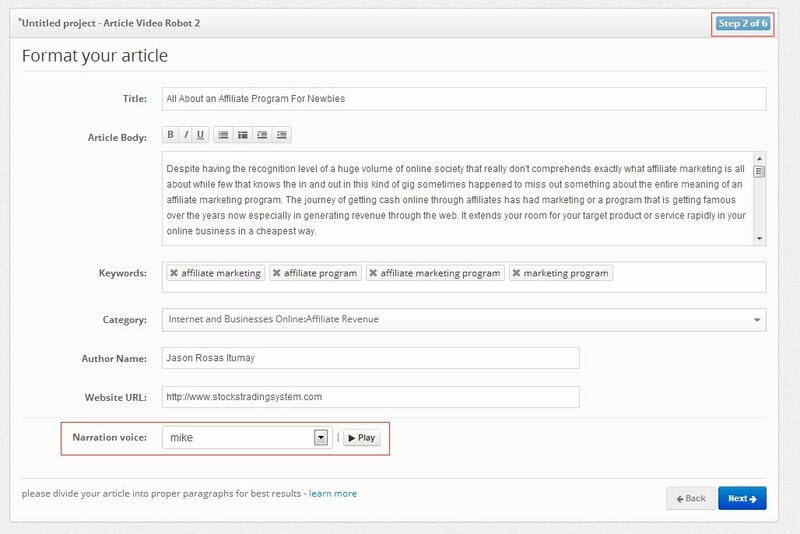 Once you have added your article to a new project, on Step 2 you can customize certain aspects of your videos like your Video Title, Keywords, Author Name and your website URL. You can also select the narration voice in which your article will be recorded from this dropdown at the bottom. You can preview a sample of the selected voice using this "Play" button on the right side.